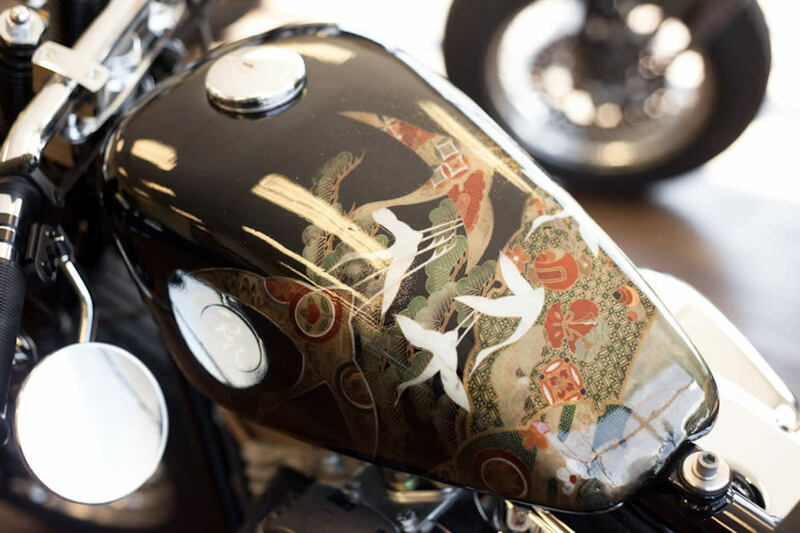 This motorbike features an extremely rare Kimono Fabris paint job with cranes on the Tank and Fender. 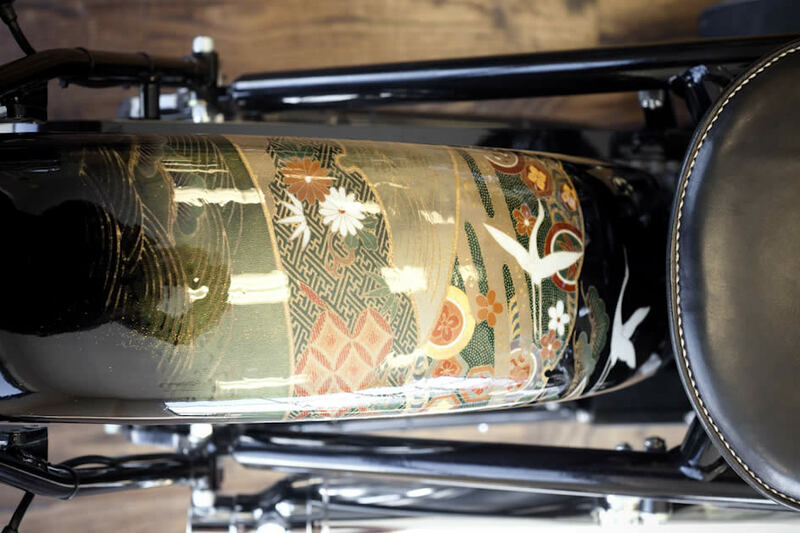 This painting process involves laquering silk fabric onto the tank and repeated sanding and laquering to a smooth finish. This tank also has a splash of gold flake to pull it all together. Amazing level of detail and most definitely one of a kind. Married to the Chief Editor and the only lady at Moto Rivista. 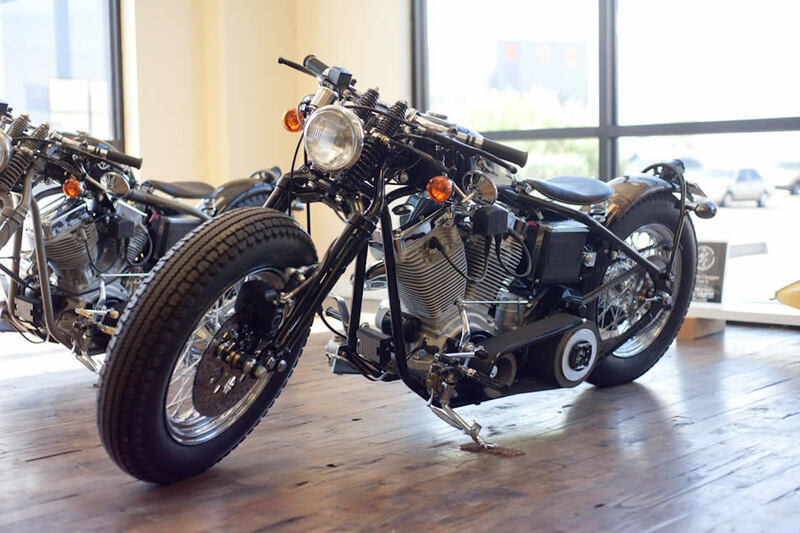 When she’s not running around after the kids she is the bounty hunter at Moto Rivista, searching the world for the most talented and interesting custom motorcycle builders!